Elbit Imaging Ltd. (TASE, NASDAQ: EMITF) (“Elbit”) announced today that its indirect subsidiary EPN Investment Management, LLC (“EPN”), has signed a Real Estate Purchase and Sale Agreement (the “Agreement”), to purchase from certain affiliates of Charter Hall Retail REIT seven retail shopping centers located in Georgia, Oregon and Florida in the U.S., with a total Gross Lettable Area (GLA) of approximately 650,000 square feet (approximately 60,000 square meter) and a current occupancy rate of approximately 91.0% (the “Properties”). The purchase price of the Properties is US$75 million, out of which an amount of US$22.7 million shall be paid by way of assumption of property-level debt (the “Assumed Debt”). The Properties have Net Operating Income (NOI) of approximately US$7.0 million, which reflects an annual yield of approximately 9.2%. 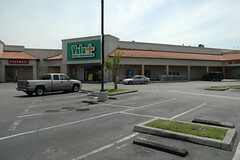 The closing of the transaction is contingent upon, inter alia, the receipt of the approval of the applicable lenders to the assignment and assumption of the Assumed Debt, applicable ground lessors’ consent to the sale of three Properties which are subject to ground leases, and all other documentation required for closing. The purchaser of the Properties will be a new joint venture entity that shall be formed by a subsidiary of Elbit and Plaza Centers N.V. (LSE: PLAZ) (WSE: PLAZ/PLAZACNTR) (“Plaza”), Eastgate Property LLC or its affiliate (“Eastgate”) and EPN Real Estate Fund LP (the “Fund”), the U.S-based international fund that was formed by Elbit, Plaza and Eastgate. This investment constitutes part of Elbit’s overall U.S. investment strategy alongside the Fund. “We are proud to announce the entering into the second transaction of the Fund we have established for the objective of investments in the US retail and commercial real estate sectors. We identified the assets, which comply with our investment profile, and in cooperation with our US-based team we executed this transaction following an extensive and professional examination. We believe that there is great potential for enhancement in the assets acquired. EPN Investment Management LLC and EPN Fund GP LLC are entities jointly formed by Elbit Imaging Ltd. (“Elbit”), Plaza Centers N.V. (“Plaza”) and Eastgate Property LLC and its affiliates (“Eastgate”) in order to facilitate U.S. retail real estate investments, including through EPN Real Estate Fund, LP, a real estate investment fund that was jointly established by Elbit, Plaza and Eastgate, focused on investments in the U.S. retail and commercial real estate sectors (the “Fund”). Recently, the Fund secured from Menora Mivtachim Insurance Ltd. (“Menora”) and certain of Menora’s affiliates, $31 million in capital commitments. The Fund intends to take advantage of real estate opportunities in the United States through direct acquisitions and joint ventures with leading real estate operators and owners of relevant assets or portfolios. About Elbit Imaging Ltd. operates in the following principal fields of business: (i) Commercial and Entertainment Centers – Initiation, construction and sale of commercial and entertainment centers and other mixed-use real property projects, predominantly in the retail sector, located in Central and Eastern Europe and in India; (ii) Hotels – Hotel operation and management, primarily in major European cities; (iii) Elbit Medical – investments in the research and development, production and marketing of magnetic resonance imaging guided focused ultrasound treatment equipment; and investments in stem cell expansion technologies to develop therapeutic products for cancer; (iv) Residential Projects – Initiation, construction and sale of residential projects and other mixed-use real property projects, predominately residential, located primarily in India and in Eastern Europe; (v) Fashion Apparel – distribution and marketing of fashion apparel and accessories in Israel; and (vi) Yielding Real Properties – Investment in commercial real property in the United States and venture capital investments. Any forward-looking statements in our releases include statements regarding the intent, belief or current expectations of Elbit Imaging Ltd. and our management about our business, financial condition, results of operations, and its relationship with its employees and the condition of our properties. Words such as “believe,” “expect,” “intend,” “estimate” and similar expressions are intended to identify forward-looking statements but are not the exclusive means of identifying such statements. Actual results may differ materially from those projected, expressed or implied in the forward-looking statements as a result of various factors including, without limitation, the factors set forth in our filings with the Securities and Exchange Commission including, without limitation, Item 3.D of our annual report on Form 20-F for the fiscal year ended December 31, 2009, under the caption “Risk Factors.” In addition, a potential offering would be subject to risks facing any public offering, including without limitation, general economic conditions, the conditions of the capital markets, the interest level of investment banks and investors in the offering and the performance of our businesses. Any forward-looking statements contained in our releases speak only as of the date of such release, and we caution existing and prospective investors not to place undue reliance on such statements. Such forward-looking statements do not purport to be predictions of future events or circumstances, and therefore, there can be no assurance that any forward-looking statement contained our releases will prove to be accurate. We undertake no obligation to update or revise any forward-looking statements.